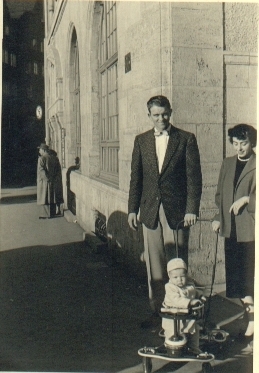 Paris France Circa 1954, My Parents and Baby Brother with "me" on the way! Dad was stationed in France then. 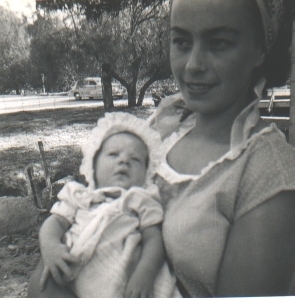 My parents holding me in California where I was born in 1955. Italy, I was 22 months old. 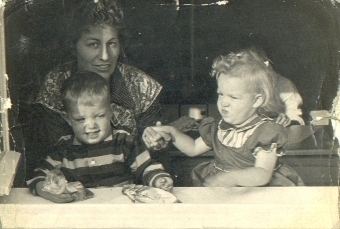 Cindy age 4 on my Birthday, 1959. 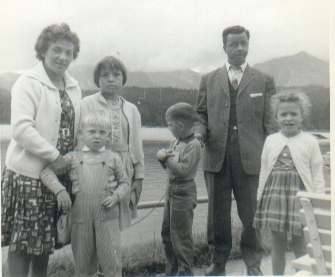 My Uncle Bobbl, my brother and I with our friends when we lived in Germany, I am 5 here. 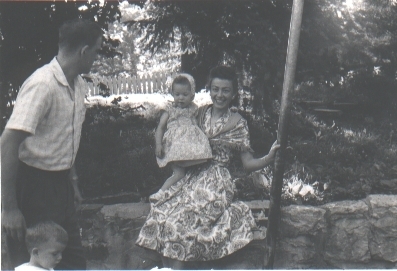 During this time Dad was stationed at Ramstein AFB in Germany. 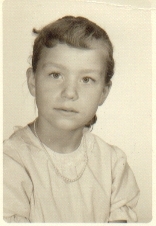 1962, My second grade school picture. 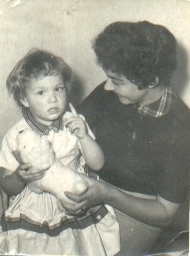 1963, Wiesbaden Germany w/baby sister Belinda. 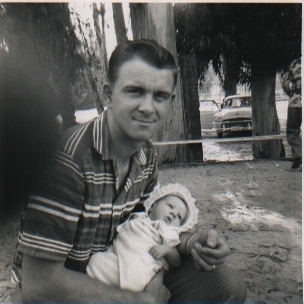 Dad was stationed at the AFB there at the time. 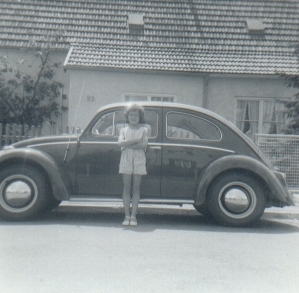 1963, Augsburg Germany in front of my Uncle's House. 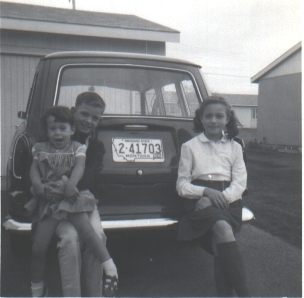 1965, my brother Leslie, sister Belinda and I when we lived in Great Falls, Montana @ Malmstrom AFB. 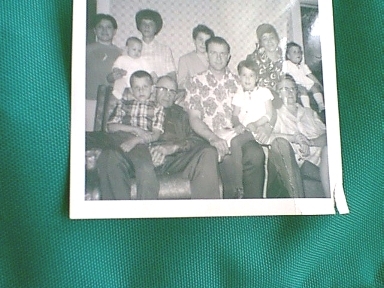 1966 on the farm in Illinois with Grandma, Grandpa, sisters Becky and Belinda, Mom, dad, Aunt Diane, Aunt Aldine and our cousin Joey. 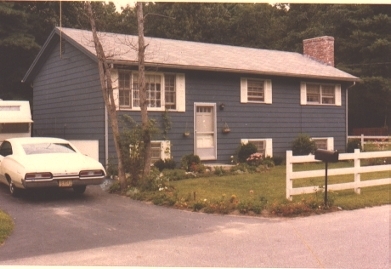 1968, Our home in Westford, Massachusetts. The only home we ever had that was off base during my childhood! 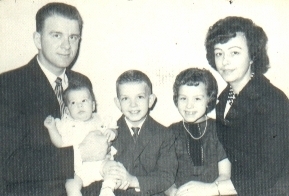 At the time Dad was stationed at Hanscom Field ABF which is where we lived before we had our new home built. 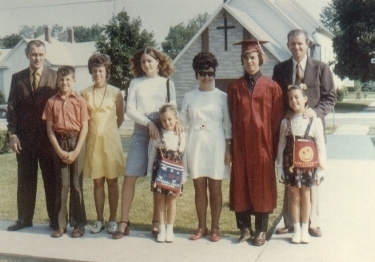 Our family in 1972 at my brother's Graduation in Illinois. 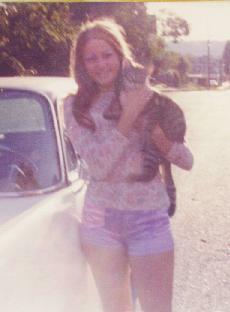 Cindy age 19 moved to WA State.